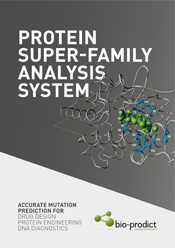 Over the years, these systems have proved to be powerful instruments for understanding many of the complex aspects involved in protein function and mutation effect prediction. Years of experience in software design, structural biology and the analysis of protein super-family data make Bio-Prodict your choice for protein-related data analysis and software design. This 3DM video highlights some of the key concepts and functions of our protein superfamily data integration platform, 3DM. If you would like to try 3DM you can register for a 3DM demo account. The main products of Bio-Prodict are 3DM information systems. 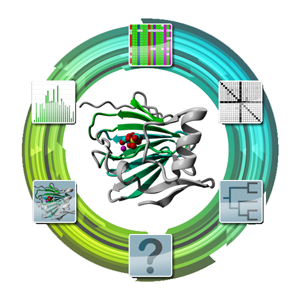 3DM information systems are protein super-family platforms that collect, combine and integrate many different types of protein-related data. 3DM systems are designed to facilitate the exploration of sequence-structure-function relations, and have successfully been used many times to elucidate the function of individual amino acids, predict the effects of mutations, among others. We have a number of publicly available information systems that you can try out. For any one protein family there is already an overwhelming amount of data available. Managing and integrating all this data can be a daunting task; studies that involve carrying over information from one protein to the other seem simple at a first glance, however, the amount of data that needs to be collected from heterogeneous sources, converted to syntactic and semantic homogeneity, validated, curated, stored and indexed, is enormous. 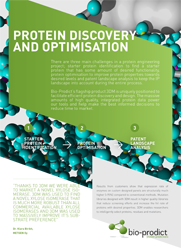 To manage the increasing amounts of protein-related data Bio-Prodict has developed 3DM: systems that can automatically collect, store and connect many different super-family data types from various sources. Examples of data types that are used by 3DM are sequences, structural information, protein-ligand and protein-protein contact information, mutational data (which is automatically retrieved from literature), and information extracted from multiple sequence alignments (correlated mutations, amino acid conservation patterns, subfamily specific residues, etc). All these different data types are stored in specialized protein super-family system that are centered around a structure based multiple sequence alignment. 3DM applies a unified numbering scheme to the alignment, the sequences, and the structures. This numbering scheme makes it easy to visualize and integrate all different data types in the alignment, in the structures and in relation to each other, enabling easy detection of correlations between the different data types. Using a common numbering scheme for all proteins in the system allows for the easy transfer of information between proteins. 3DM super-family systems have a highly flexible setup making it easy to implement in-house data (such as mutational information). 3DM is tightly integrated with the state of the art molecular graphics and modeling software YASARA , which makes it easy to project the different data types on a protein structures and visualize trends extracted from the 3DM systems in a structural context. The use of YASARA, winner of the CASP8 refinement section, to build 3DM-based homology models ensures that you get the highest quality models possible. Although 3DM is highly user friendly we advice all new users to do the 3DM course to maximize the output you get from your database. The course can also be used to help decide if you need a 3DM license. Participants will get an overview of the different tools available in a 3DM information systems Participants will learn how to use 3DM by solving themselves real live protein Engineering, homology modeling and drug design problems. Participants will explore different kinds of protein super-family data and will learn how to use and extract relations from the data. The structure visualization tools YASARA and PyMOL will be used to deal with the data from a structural perspective. To register for a demo account, click on the large green button. Drug design is becoming more and more difficult and 3DM has been described as an essential tool for drug design in the future. 3DM was used to increase the thermostability by rational design of a sucrose phosphorylase. 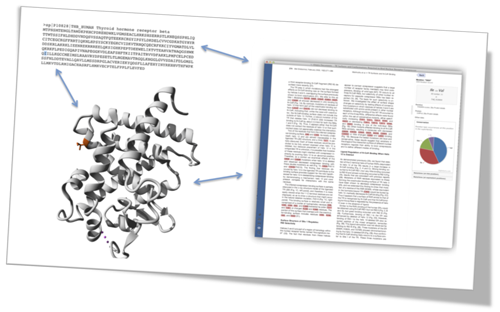 Utopia (a pdf reader that can analyse the content of publications) is coupled to GPCR and Nuclear Receptor MCSIS systems enabling visualisation of data in articles and to provide links to relevant literature. A 3DM system was generated for the P450 protein super-family and it's applicability for P450 related research is extensively described. 3DM was used to guide the discovery of a compensating mutation in C-methyltransferase NovO. A review of the 3DM methodology has been published in Proteins. This review shows how 3DM can guide experimental design, demonstrated with results obtained from different 3DM systems. A novel DNA diagnostics mutation prediction tool was developed (HOPE) and tested on 16 human disease-related proteins. In 2010 three reviews were published describing current protein engineering strategies, describing 3DM as a powerful tool. Bio-Prodict is a private Dutch computational biotechnology company founded 5th of May 2008. The core business of Bio-Prodict is development of protein superfamily systems aimed at speeding up research time in the area of drug design, protein engineering, and DNA diagnostics. These general terms and conditions and the ICT office terms and conditions apply to all Bio-Prodict services. 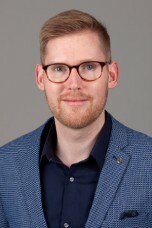 Tom van den Bergh, MSc. We're currently looking for a sysadmin (parttime) to expand our team. We offer a great place to work within a young team, with lots of freedom and opportunities to grow. If you would like to know more please contact Henk-Jan Joosten. We continuously offer internships to bright young students in bio-informatics and computer science. Dr. H.J. 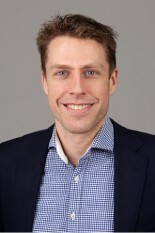 Joosten is one of the founders of Bio-Prodict. He got a masters degree in bio-informatics in 2002 at the Centre of Molecular and Bio-molecular Informatics (CMBI) where he worked on the generation of a protein super-family database for the nuclear receptor super-family. He completed his PhD in 2006 at the Wageningen University where he developed 3DM. He continued the development of 3DM during a post-doctoral period till December 2007. From the start of 2008 he focused on the foundation of Bio-Prodict resulting in the startup in May 2008. Ir. P.A.M. Heemskerk graduated in 1971 in Food Science and Technology at Wageningen University. He spent his working life in the food and beverage industry notably with the Heineken beer company. Ir. Heemskerk has extensive experience in production, supply chain, (bio)technology as well as management development. His main competencies: strategy, innovation, integrating perspectives and cultures, teambuilding and coaching. His international business skills were built up across all continents, and he is driven to coach the director of Bio-Prodict to develop a successful company. Professor Vriend got his PhD in 1983 at the agricultural university of Wageningen. After doing post-doctoral research in Purdue, India, USA and in Groningen, The Netherlands, he worked at the EMBL in Heidelberg, Germany. In 1999, he founded the Centre of Molecular and Bio-molecular Informatics (CMBI) in Nijmegen, The Netherlands. At the CMBI, he continued working on fundamental and applied aspects of protein structure (homology modelling, structure quality, visualization, molecular dynamics, ligand interactions) and on information technology (data-mining and information systems). The Wageningen Business Generator (WBG) is an organization responsible for valorization of science within the Wageningen University. WBG supports new spin-offs with their legal, scientific, financial and patent expertise and give financial support. WBG has largely funded the start of Bio-Prodict. Viral metagenomics for innovation value. Breast Cancer Risk after Diagnostic Gene Sequencing. Developing a validated technology platform for the application of oxygen dependent enzymes in synthesis and transformation of alcohols. Integrated European Project on Omics Research of Rare Neuromuscular and Neurodegenerative Diseases. Biodiversity, Bioinformatics, Biotechnology... Innovation from the sea. Sucrose Synthase as Effective Mediator of Glycosylation. Developing biocatalysts for industrial chiral chemicals. 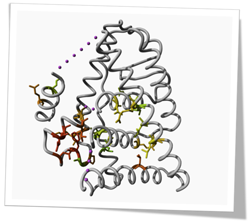 Interactive protein engineering portal with validated software and database facilities. Sustainable industrial processes based on a C-C bond-forming enzyme platform.